Maximize the window space of every window in your home and office by using cost effective and stylish Bi-Fold Windows from Innovative Aluminium & Glass. Taking this step would not only help you view the outside area in a better manner but it will also make your home look better decorated. These windows are space saving too as they can be easily folded left or right and would never intrude on your living space. If you wish to make your kitchen and entertaining areas larger and brighter then installing aluminium Bi Fold windows would be a smart idea. They would let more light into your space and allow you to chat with a guest through the window only. You can also keep an eye on your kids playing outdoors when you are cooking. The Bi Folding windows offered by our company can be folded easily if you wish to let some fresh air inside. And when it’s time to sleep or go away from home, you can close the window and lock it with a secure locking mechanism. These windows can’t be opened from the outside. Not only all the Bi Fold windows created by Innovative Aluminium & Glass meet several stringent quality parameters, they also meet and often exceed the BAL40 Bushfire rating. These windows always pass the rigorous safety standards in Australia. All the Bi Fold windows are manufactured in Sydney by our experts at Innovative Aluminium & Glass. We have over 25 years of experience in creating top quality products that are meant to last long. The quality of workmanship is also ‘A’ Grade. The installation of the windows would also be done by our experts in order to save your precious time. 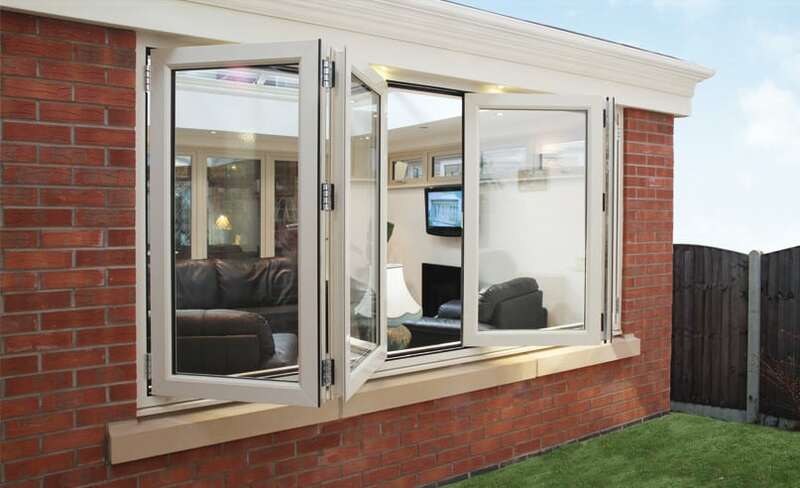 The Bi Fold windows can be tailor made to suit the configuration needs of a client. We can manage 2, 3 or 4 fold panel configurations for you. You can also add in retractable flyscreens to the windows to stop any insects from entering into your home. The windows are so easy to operate that even a kid or an elderly person can open or close them in an instant. Click here to check out different types of windows that we provide.